Galaxy Note 7 Waterproof Test in HOT Spa for an HOUR! Here’s an extreme test of Galaxy Note 7’s IP68 waterproof design, we put the phone in 100+ degree of hot spa water for an HOUR! Will it blow up? 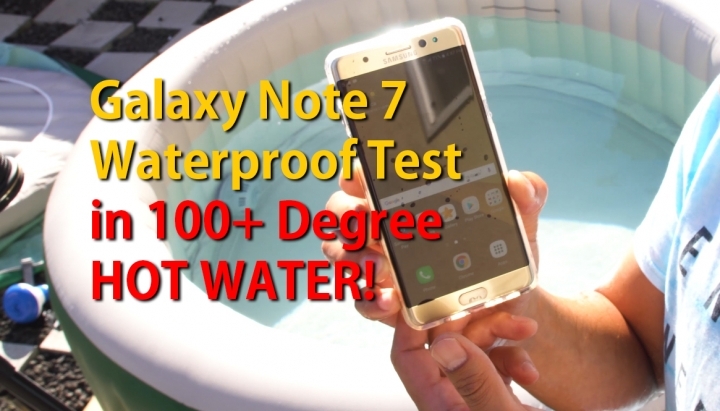 Many waterproof tests have been done in the past and the Galaxy S7 Edge (which has same waterproof design as Note 7) lived up to freeze tests, but there are no previous waterproof tests involving high temperatures with long hours in water. In this test, we find out whether Note 7 can live up to hot water abuse in a real life example where someone may leave their phone in the spa overnight by accident. Do you think it will survive? Watch the video to find out! Note 7 will become a collectible. What do you think about it being permanently banned? Previous story Pixel Launcher APK Leaked!